This I Can Read story is perfect for beginning readers and pony lovers alike! In this charming story, the Pony Scouts are helping throw a pony party for a little girl's birthday. But when the birthday girl isn't having fun, it's up to the Meg, Jill, and Annie to save the day. 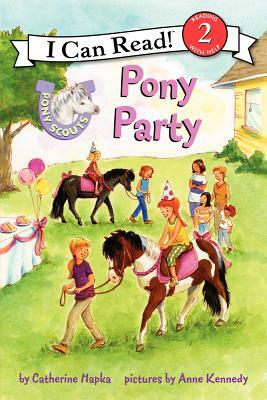 Like all I Can Read books, Pony Scouts: Pony Party is designed to encourage a love of reading. It is a Level 2 book, geared for kids who read on their own but still need a little help.